Google and Spotify are teaming up to bring even better music streaming to your home. UPDATE: As of 12/14/2018 this extremely popular deal is no longer available. The original terms and conditions claimed that the promotion would run through 12/31/2018, "or while supplies last." At the time of publishing, it looks like those supplies did not, in fact, last. We will update this page again if the Google Home Minis come back in stock, so stay tuned. New members can still sign up for three months of Spotify Premium or two months of Spotify Family for $0.99 until 12/31/18. If you've got a family that loves music, Google and Spotify are here to make your listening experience better. Right now, anyone with a Spotify Premium Family plan can sign up to get a free Google Home Mini (a $45 value). Subscribers have until December 31st (or while supplies last) to claim their new smart speaker. The Spotify Premium Family plan costs $14.99 a month and allows for up to six different accounts. Note, however, that only the master account is able to claim the Google Home Mini. This deal is available to both new and existing Premium Family plan members, but is limited to one speaker per plan. If you don't have a Spotify Premium Family plan, it may be worth it to sign up for a month just to get the speaker. In fact, there's a fantastic deal right now on trial Spotify Premium memberships. Spotify is offering three-month trial Premium Plan subscriptions for less than a dollar. By combining these two offers, you can get a Spotify trial membership and a brand new Google Home Mini for only of $0.99. Unfortunately, the trial memberships are only available for those who have not tried Spotify Premium in the past. First, follow this link and click the "Get Premium" button to sign up for three months of Spotify Premium for $0.99. After you've completed your registration, follow this link to upgrade to a Spotify Premium Family Plan. You won't be charged for the upgrade, despite Spotify stating it costs $15. Note: Upgrading your Spotify Premium Plan to a Spotify Premium Family Plan will cut the trial membership length from three months down to two months. Once you've upgraded to the Family Plan, you will receive an email with a link to claim your Google Home Mini for free. Alternatively, you can follow this link to instantly redeem the offer before getting the email. Your discount will be applied upon checkout, and you'll receive your free Google Home Mini by mail in a few weeks. Note: You must be signed into a Google account to redeem this offer. The discount code will not work when checking out as a guest. Follow these instructions and you'll get your free Google Home Mini in no time! Just remember to cancel your membership before the end of the trial if you don't want to pay the full price ($14.99 per month) going forward. 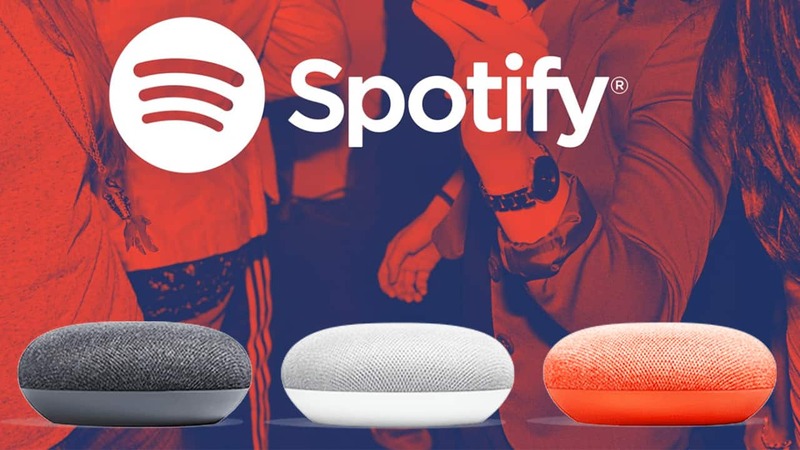 And if you don't want a free Google Home Mini for whatever reason but still want to try Spotify ad free for 3-months, just sign up for the $0.99 Premium trial and ignore the rest of the instructions. As a final bonus, the Google Home Mini will come with 3 months of YouTube Music Premium for free. Just activate your device before February 28, 2019, and you'll be eligible for this offer. YouTube Music Premium typically costs $9.99 per month, so cancel before your trial is up if you don't want to keep the service. Special thanks to Slickdealer D_Bagggg for bringing this deal to our attention!